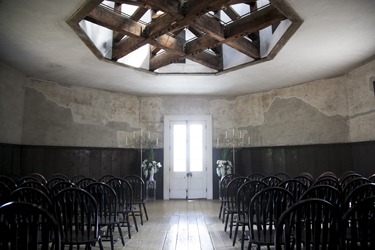 We will arrange and coordinate your wedding ceremony in the Cockpit Theater at Hamilton’s Dundurn Castle. Cockpit rental with seating for 60 people. Coordinator for your wedding ceremony. Two hour photography permit for the Castle grounds. Rehearsals are not permitted at city heritage sites. However, you may book a rehearsal at our on site chapel for an additional $100.00 charge. A non-refundable deposit of $350.00 is required to book the Dundurn Castle Package. The deposit can be used for up to two years if you need to postpone prior to one month from your wedding date. Balances paid up FOUR WEEKS from the wedding date.